"Get a load of those meathooks!" Ospreys continue to thrive in New Jersey. Nest surveys conducted by volunteers during the peak of the nestling period (late June-early July) resulted in documenting the outcome of 87% of 589 surveyed nests. 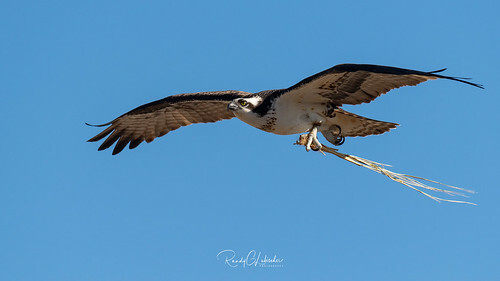 We credit the successful work by our dedicated volunteers and faithful “Osprey Watchers” to report on nests all along the coast and major rivers. The goal of this project is to monitor and manage the state population of breeding ospreys to ensure they remain stable in New Jersey. We hope that the work conducted as a part of this project will help protect the species while closely monitoring for any indication of emerging threats.